Michael is a senior leader in technology and digital transformation in the Financial Markets. He believes in an innovative culture of high calibre, motivated people who focus on helping companies thrive in the digital age by challenging conventions and embracing change. Michael's role leading Saw Software sees him managing a disruptive growth business focused on bringing Global efficiencies to his clients. He has built Vision® which leverages emerging technologies for knowledge management, due diligence and actionable insights. Michael believes digitised data analytics, knowledge management and workflow is critical for a business to flourish. He has a guiding principle for Saw Software “Data ages like fine wine, while software ages like Fish”. 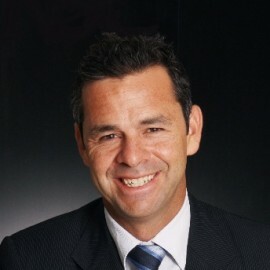 Before taking on the role of Managing Director of Saw Software, Michael was an Area General Manager of Telstra’s Microsoft practice, where he brought together sales management, technology, and people to link innovative solutions for Australia’s largest companies. With a background in PwC Management Consulting and the original development of Vision® in GoldmanSachs JBWere, Michael balances the needs of governance, risk and compliance in his customer's businesses and ensures the agility and enthusiasm of a growth business.